My PhD research focuses on testing and developing methods to identify and quantify the variation in phylogenomic data. In particular I am interested in applying these methods to herpetological non-model systems that lack genomic resources to better understand their biology and natural history. I got my Bachelor’s Degree from University of California Davis in 2010. Before starting my PhD I worked as a tech in Brad Shaffer’s lab at UC Davis and UCLA. As a tech I developed genomic resources for turtles and salamanders. 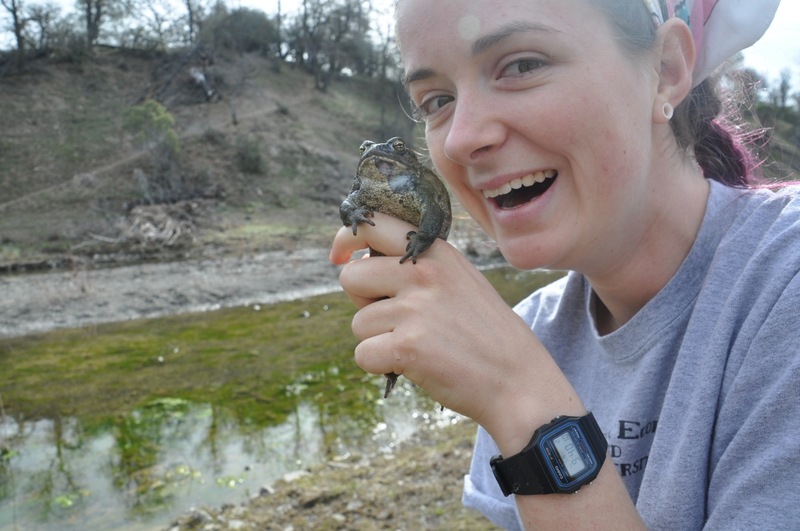 Additionally I helped with fieldwork, managing a salamander colony, and general lab maintenance. Collecting and developing large genomic datasets sparked my interest in the variation and diversity in information content in current genomic datasets. Find me (other places) online!